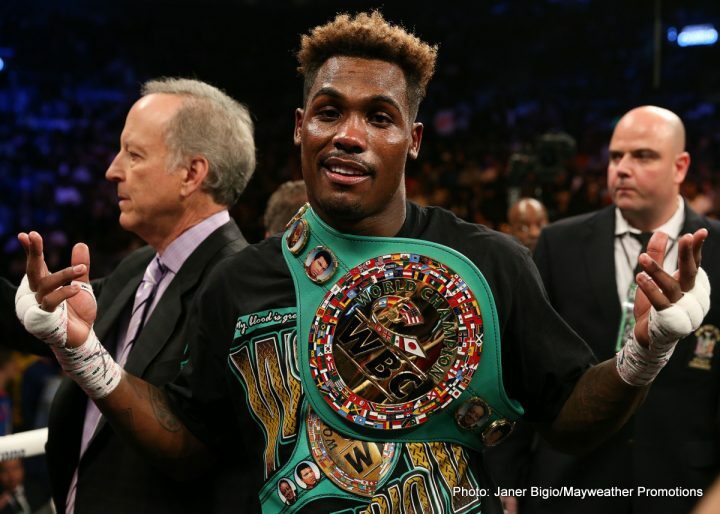 By Dan Ambrose: A fight between Interim WBC middleweight champion Jermall Charlo (27-0, 21 KOs) and Maciej Sulecki (26-1, 10 KOs) are in the works for December 22 on Premier Boxing Champion’s first show of their new deal with Fox, according to Dan Rafael. Sulecki has the inside skills and the counter-punching ability to make this an interesting fight if he can make it into the second half of the fight, which is when Charlo tends to fade and lose his power. Charlo is a good 4 to 6 round fighter, but after the 6th round, he gasses out and looks ordinary. Part of the problem is his size. Charlo should be fighting at 168. He’s too big for the middleweight division, and it clearly takes a lot out of him to melt down to 160. Sulecki is coming off of a 12 round unanimous decision loss to former IBF middleweight champion Daniel Jacobs on April 28 on HBO in Brooklyn, New York. The fight was a lot closer than the ridiculously bad scores that were turned in by two of the three judges, who scored it 116-111, 117-110 and 115-112. Boxing News 24 scored the fight 115-112 for Jacobs. He just barely edged it. The fight could have been a draw if not for Sulecki getting careless in round 12 in getting knocked down by Jacobs. Sulecki wasn’t hurt. It was a balance shot if anything. You can’t count Heiland as a credible opponent for Charlo at the time that he fought him in 2017, because the Argentinian had a leg injury during that fight. When Heiland walked out into center ring in the 1st round, he was visibly limping. At some point, Heiland had suffered an injury before the fight. The World Boxing Council recently ordered Charlo, 28, to defend his interim WBO 160 pound title against Gennady Golovkin with the winner being the mandatory challenger to new WBC middleweight champion Saul Canelo Alvarez. That’s not a fight that GGG and Charlo had in mind. They both wanted to fight Canelo, but the WBC decided to try and come up with a solution to that vexing problems themselves by ordering Charlo and GGG to fight each other instead of Canelo taking care of his own mandatory. Not surprisingly, the WBC’s idea didn’t go over well with Charlo and GGG, because neither of them have shown any interest in facing each other. That would be a good fight between Charlo and Golovkin, but it’s not one that has any real chance of happening. Golovkin can make better money right now waiting on a third fight against Canelo or facing WBA ‘regular’ champion Ryota Murata. There’s also good money for Golovkin facing Jacobs if he gets past Sergiy Derevyanchenko on October 27. If GGG wants to move up to super middleweight, he an make money fighting WBA Super World 168 lb champion Callum Smith or WBO champion Gilberto ‘Zurdo’ Ramirez.